On October 3-10, EWI opens the doors to their premium-grade Currency Pro Service. For the first time, you get more than their FX forecasts – you also get their crypto predictions. Bitcoin, Ethereum, Litecoin, EURUSD, USDJPY, GBPUSD and more -- you get intraday and long-term projections for the 14 most-traded FX pairs and cryptos, yours free for a week. You also get to test-drive EWI's brand-new Pro Services portal -- easy to navigate, mobile-friendly, audio-alert enabled, and more. Bitcoin, EURUSD and others will likely surprise many traders in the weeks ahead. You get a front-row seat to these new FX opportunities, free. EWI's promise to you: At the end of FreeWeek, you’ll see more clarity and predictability in FX markets than ever before. Yes! I want free FX + crypto forecasts for 7 days now! They only hold this event once a year, so don’t miss out. P.S. Almost forgot: You also get an instant free bonus. 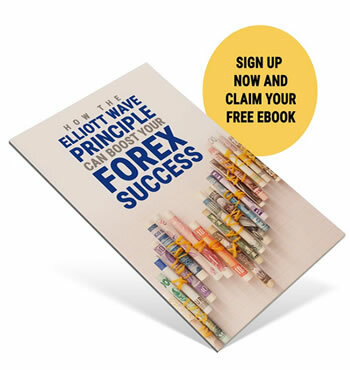 Learn what gives Elliott wavers a trading edge inside the FreeWeek Primer eBook, How the Elliott Wave Principle Can Boost Your Forex Success. Read it instantly, free, when you join FX FreeWeek at elliottwave.com.